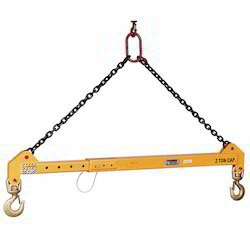 We are one of the leading suppliers of a wide range of Lifting and Material Handling Equipment. These are manufactured using high quality raw material. 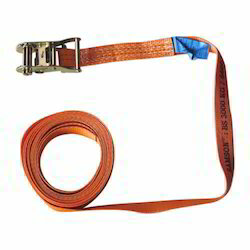 Our range of products includes Ratchet Buckles, Connecting Links, Full Body Safety Harness, Towing Belt, Ratchet Lever Hoists, Permanent Magnetic Lifter, Chain Pulley Block and Safety Belts. We welcome queries for Material Handling and Industrial Lifting Equipment from South India region including Andhra Pradesh, Karnataka, Kerala and Tamil Nadu. 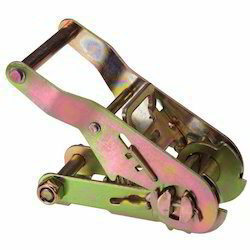 We are experts at offering Ratchet Cargo Lashing Endless Type. We manufacture and supply supreme quality Cam Buckles that is designed in order to meet the specific requirements of our clientele. To assure this, we also make use of modern packaging techniques in order to ensure the safe transit of our consignments at client's end. We are Leading Manufacturer and Supplier of Adjustable Beam in Chennai, South India, India. 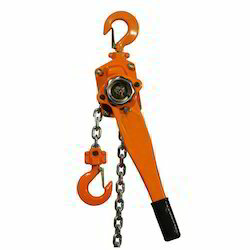 We manufacture and supply supreme quality Ratchet Cargo Lashing Hook Type that is designed in order to meet the specific requirements of our clientele. 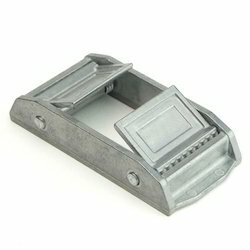 Our company is engaged in offering a wide assortment of Ratchet Buckles to our respected customers. We are experts at offering Tyre Lashing. The expert team of our company offers an ample range of Ratchet Lever Hoists to our esteemed clients.